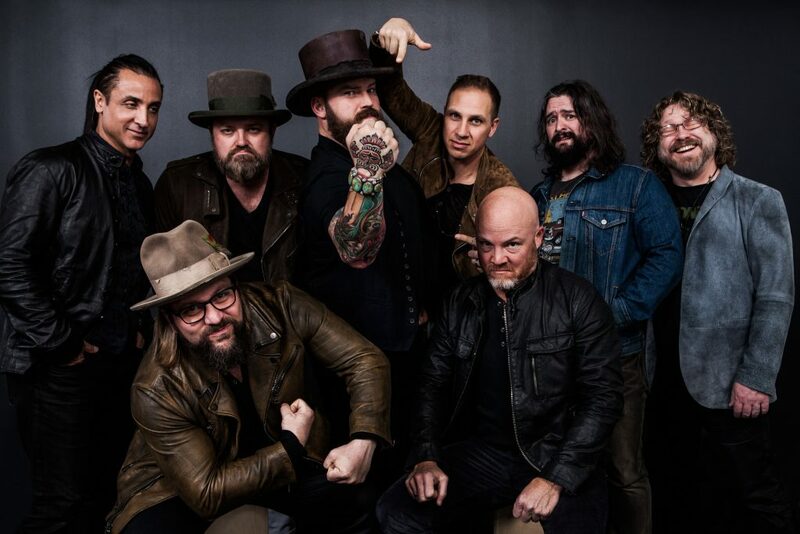 Multi-platinum artists Zac Brown Band made their first appearance on ‘Austin City Limits’ this past weekend, and have plenty more on their schedule this month. The group’s hour-long ACL episode…which features songs from the chart-topping 2017 album “Welcome Home”, as well as the group’s greatest hits…is now streaming. Utilizing the knowledge garnered from years of producing Zac Brown Band content, the talented team at Southern Reel will work alongside Propagate to produce projects for television, film and digital. Working together, the partnership will develop content that speaks to Zac’s own vision of the southern lifestyle. Watch it HERE! Los Angeles’ Grammy Museum hosted the group for An Evening With Zac Brown Band on Thursday, October 26th. Grammy Museum executive director Scott Goldman lead an intimate Q&A and special performance, presented by American Express, at the museum’s Clive Davis Theater. Zac also recently appeared on ‘Charlie Rose,’ covering the new album, the origins of “My Old Man,” the band’s evolution, Camp Southern Ground and more. Watch that segment HERE. Additionally, Zac Brown Band wraps their 2017 ‘Welcome Home’ tour October 28th and 29th with a pair of concerts at the Hollywood Bowl. The 50-market tour drew more than one million fans and included massive stadium shows at Chicago’s Wrigley Field and Denver’s Coors Field. Zac Brown Band launched “Zac Brown Band Radio” on SiriusXM’s Y2Kountry that will air through Sunday, October 29th at 11:59pm ET via satellite on channel 61, and through the SiriusXM app on smartphones and other connected devices, as well as online at siriusxm.com. The special will feature music from throughout the band’s career, including songs from ‘Welcome Home.’ SiriusXM’s “Zac Brown Band Radio” will also broadcast full live shows, including the band’s two sold-out hometown shows at Verizon Wireless Amphitheatre at Encore Park in Alpharetta, GA this past May and culminating with a live broadcast of their Los Angeles Hollywood Bowl show on Saturday, October 28th. Sirius XM’s “The Highway” will also broadcast Saturday night’s Hollywood Bowl Show as part of Zac Brown Band radio. CMT will host a TV special titled Zac Brown Band: The Welcome Home Concert, a behind the scenes look at making the album, featuring exclusive in-studio footage and live footage shot at the band’s sold-out album release shows in Alpharetta, on Wednesday, October 25th at 8pm ET and again on Sunday, October 29th at 12pm ET after their Hot 20 Countdown. Also, Brown’s Southern Reel production company has announced a partnership with Propagate Co-CEOs Ben Silverman and Howard T. Owens. That partnership will produce projects for television, film and digital, starting with a reality show focused on Brown’s lifestyle brand headquarters, Southern Ground. “Welcome Home” became Zac Brown Band’s fourth consecutive No. 1 album upon its release in May. A return to the group’s classic sound, “Welcome Home” was produced by Grammy-winning producer Dave Cobb and In the Arena Productions and recorded at Southern Ground Nashville Studio. Billboard calls Zac Brown Band “one of the biggest success stories in country music over the past decade.” Since 2009, the band has sold more than 8 million records and more than 25 million singles. To date, they have achieved 15 No. 1 radio singles and are the second act to top both the country and active rock formats while developing a reputation with critics and fans alike for a live show marked by strong musicianship and subtle arrangements that defy genre boundaries.